The latest in the Make Toys Remastered Series - Contactshot w/ Targetwarrior! ContactShot stands approximately 23CM/9 inches tall. "Re:master " , in a time where scale is everything.....Re:master is a new series to bring a new twist, new gimmicks, and maybe even a new scale to the world of transforming robots. An instant classic to an already bright and vibrant world of robots, we hope Re:master will have a place in everyone's hearts......and on their shelves! This figure is money. 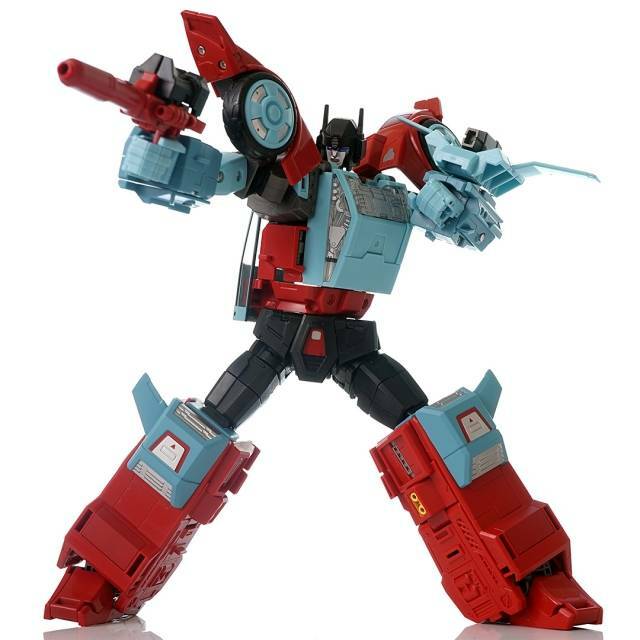 I love Pointblank and this representation is what I imagined the G1 figure looked like as a kid. The articulation is great. The best part of this figure is the build quality and QC. The colors/paint are perfect. No scuffing, no discolorization anywhere. All the tabs snap into each other. Nothing feels flimsy. Even the clear plastic cockpit on the back feels sturdy and that was a point I was worried about. This figure feels underpriced at the quality. If your on the fence, I say pull the trigger. This toy will not let you down. 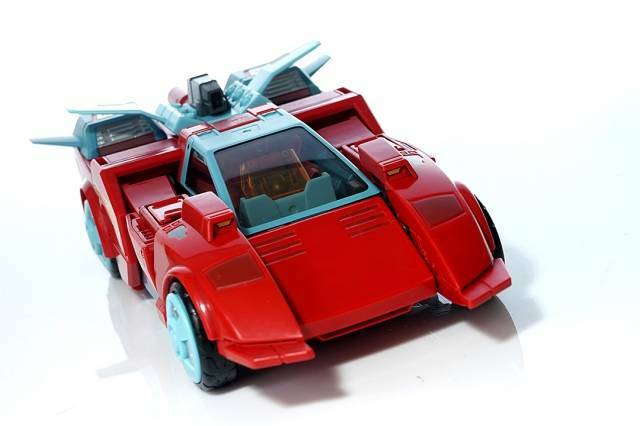 As someone who buys these to transform them, MakeToys has been consistently wowing me with their durability. Contactshot's plastic feels gorgeously sturdy. 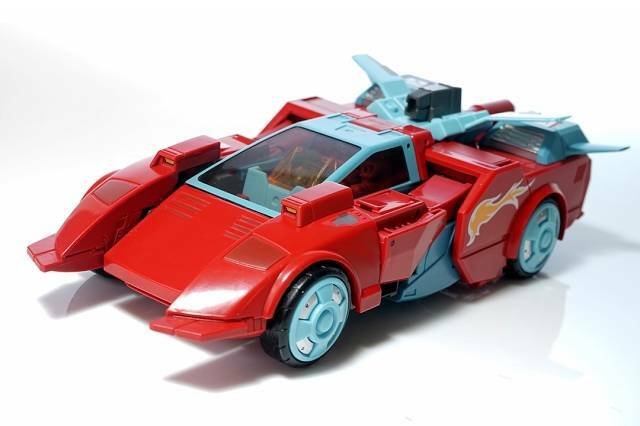 (Though the red plastic does have a vinyl-y scent that's pretty noticeable.) 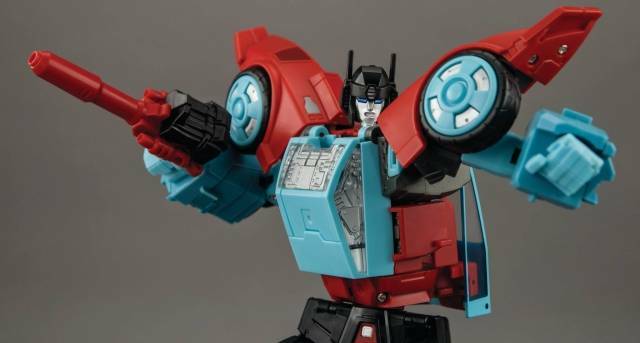 Transformation hits that sweet spot where it's satisfyingly clever but not too complex. The only irritating part is wedging the legs in for car mode, but nothing feels fragile. Also, he's a gold star winner for making use of articulation joints as transformation joints. My favorite part was realizing that the usual MakeToys outward shoulder joint is actually how the arms swing around to make the cockpit sides. Plus he looks amazing. 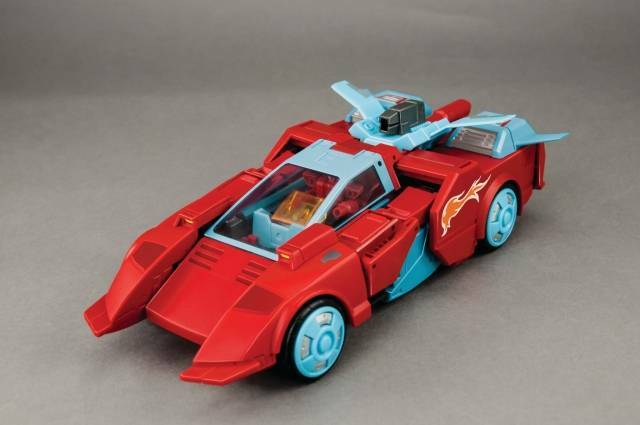 A powerful toyetic crimson slab in car mode and a heartthrob of a robot. 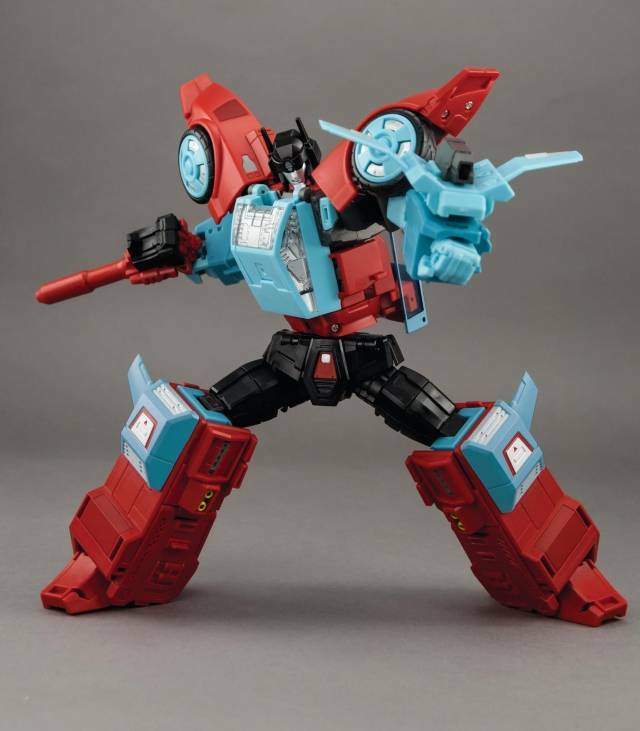 My only real complaint would be that his expression can look like he's wincing instead of smiling at some angles. Although those cobalt blue eyes are incredible. 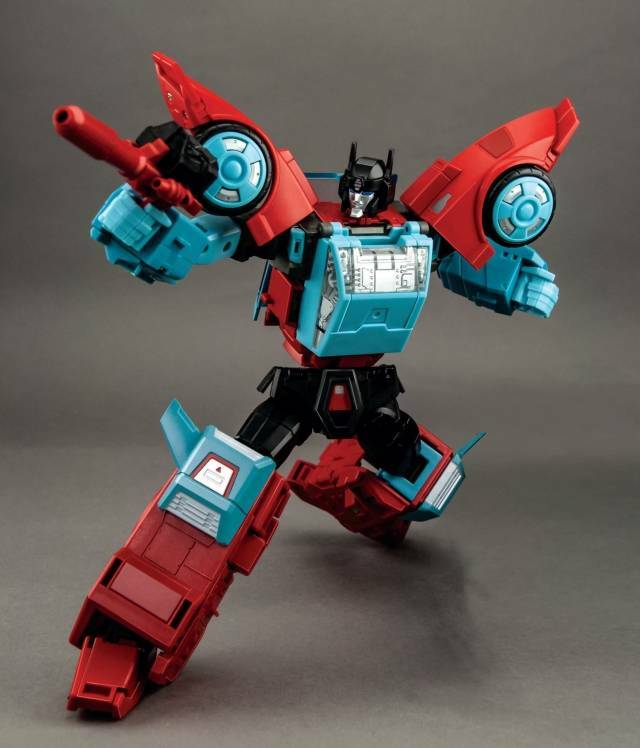 MakeToys has handily won my top spot for favorite third party company. I didn't know much about the character but it's very cool all around. New masterpiece instead of the same transformers do e over and over by different companies. Solid figure and everything is done right. 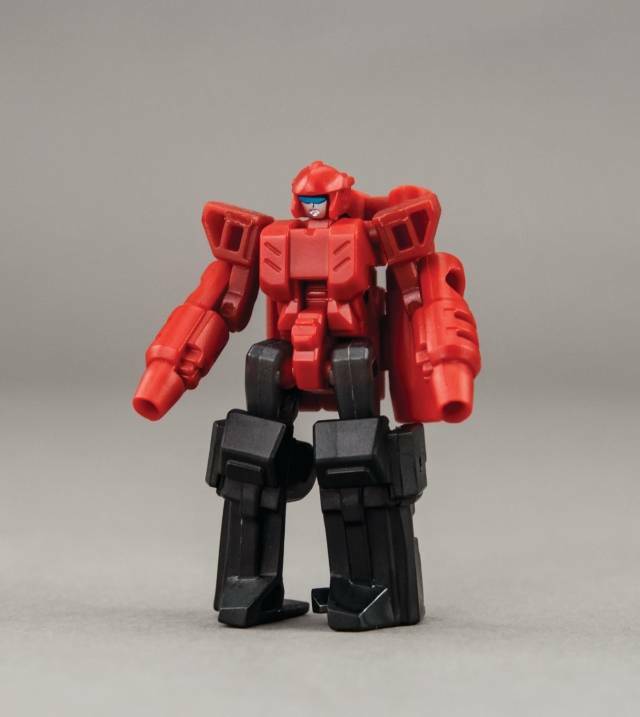 Maketoys puts out its best figure yet. IMO. 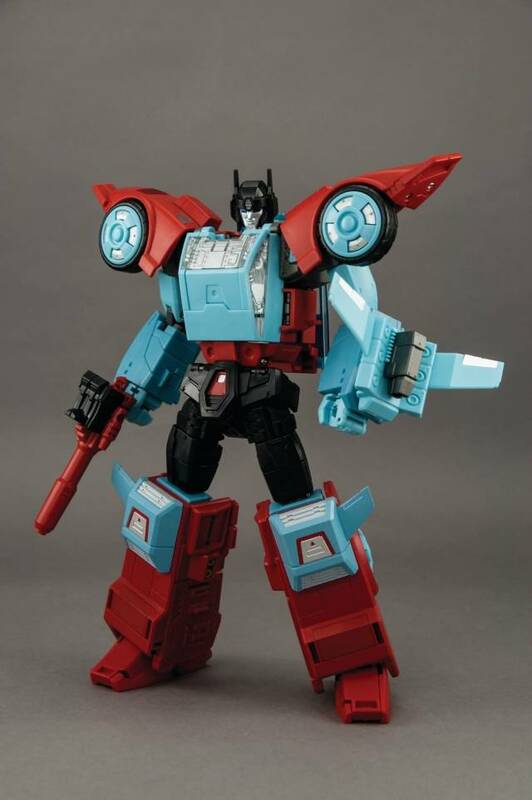 He's going to look good with the headmasters. Like the 3 previous reviewers have already stated- worth the money, quality, perfect transformation, and yes, this figure IS a masterpiece! Lush, Deep red color. Superb face sculpt, high poseability. Rolls so smoothly and quietly, in car mode. Pointblank has a high "stare at factor" as well.